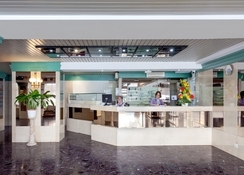 The HC Hotel Magec is a 4-star hotel situated in Puerto de la Cruz, Tenerife, Spain. 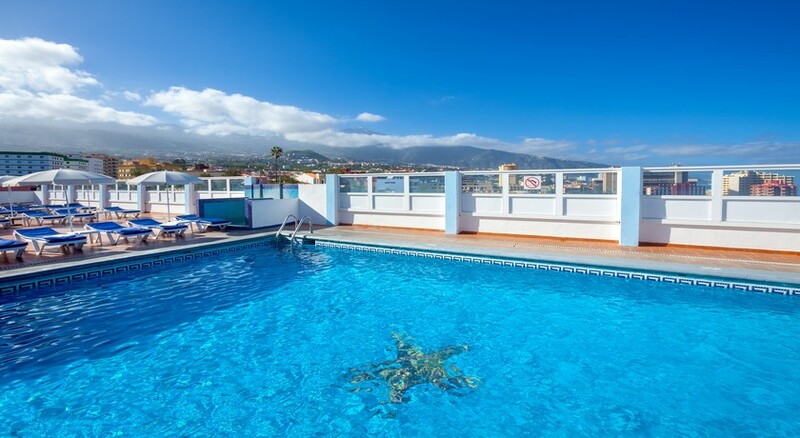 Located at a distance of 500 meters from Plaza del Charco, this hotel proves to be a perfect spot for spending a peaceful vacation in Tenerife- Puerto de la Cruz. The hotel is at a distance of about 600 meters from the Playa Jardin Beach and 150 meters from the Plaza del Charco Square. The hotel features an outdoor swimming pool with surrounding sun terraces and a hot tub. Restaurants at the hotel serve the best International buffet meals and also offer show cooking. A wide range of restaurants and bars can also be found near the hotel. There are many fun and leisure activities available such as tennis court, mini golf, table tennis and various entertainment programs. The Hotel staffs are friendly and offer tour guidance to the guests. Free Wi-Fi is available throughout the hotel. The HC Hotel Magec is located at a distance of 600 meters from the Beach Playa Jardin and 150 meters from the square Plaza del Charco. The HC Hotel Magec North Airport is 28 km from the hotel and it takes 15 minutes to reach there. A market and restaurants are located in the surroundings. Additionally, a public transport is available near the hotel. Rooms at the hotel are categorized as Single Rooms, Standard Rooms (no view), Superior Rooms (with views of mountains or sea) and Superior Triple (extra bed). All rooms are air-conditioned having private bathroom with a shower and hairdryer, a balcony or terrace, double beds (upon request), Wi-Fi (surcharge), safe, telephone, minibar and TV. 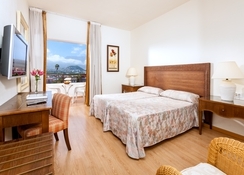 Standard rooms are brightly coloured, air-conditioned with balcony and a single bed. Standard rooms have private bathroom with a hairdryer and no balcony and satellite TV. Room safe and minibar can be rented. Superior rooms have either sea view or Mountain View. Superior Triple rooms are spacious, best for families. These have one bedroom with 2 single beds and one extra bed. Restaurants at the hotel serve delicious meals at breakfast, lunch and dinner in buffet style. There is a wide variety of buffet and live cooking dishes are offered at all meal times. The pool bar serves refreshing drinks, snacks along with national and international drinks. A variety of restaurants, shops and bars are available within a few minute walk from the hotel. The HC Hotel Magec offers a large swimming pool for adults (heated during winter) with sun terraces and sun beds surrounding the pool. Spa and Sauna service can be utilised at an extra charge. Sports activities include tennis court, mini golf and table tennis. The entertainment programs are held 6 days a week. The hotel also has its own hairdressing salon and Sauna/massage parlour. Stayed in June 2017. Had a fantastic holiday. Staff went out of their way to be helpful. Hotel was tired and in need of updating. Having saying that hotel was spotlessly clean,food lovely .